Durable, 28mm thick log cabins are made from slow grown timber in an interlocking tongue and groove construction which retains heat and reduce draughts. Waltons 4m x 4m log cabins are one of the most popular sizes and ideal for most gardens and needs. They provide additional living space at an affordable price and make luxurious home offices. Waltons Log Cabins are a designed to suit a variety of garden sizes, customer needs and budgets. Our Log Cabins are built using FSC certified Baltic pine and are constructed in a tongue and groove style for optimum strength and durability. The 28mm thick Log Cabins are double the thickness of the basic 19mm log cabins and provide you with that bit more insulation to make the building last you all year round. We do suggest that with any all-year round outdoor building, that you choose the maximum cladding thickness possible and also choose double glazed windows, as these provide that extra warmth in the winter, thus saving you money on heating and electricity in the future. If you do intend to insulate your Log Cabin, you will need to clad the interior with boarding and insulate between the boarding and the cladding with an insulating material such as an Eco Quilt. Waltons Log Cabins come as DIY kits and are really simple to put up, all you'll need is a couple of friends and a weekend, and you'll have your log cabin up and ready to go. If you are after a garden building that will provide you with valuable extra space to spend more time with hobbies, friends and family, a log cabin is perfect for you. 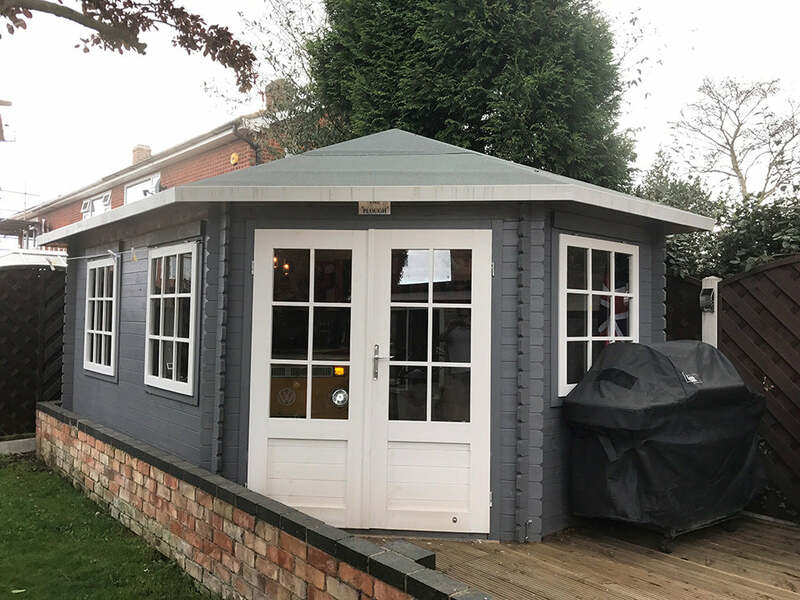 With a range that is designed to suit all budgets then why not take a look around and see how our log cabins can give you a space to grow, play, entertain or even work out.